Edith and her sister were listed as English in the passenger list. But where did they come from? 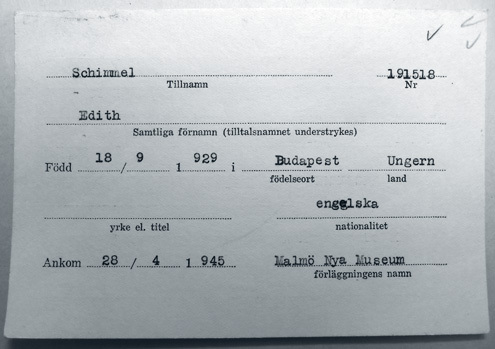 Edith is listed as British in the passenger list to Malmö because her father managed to get British passports for the family, who lived in Budapest, Hungary. 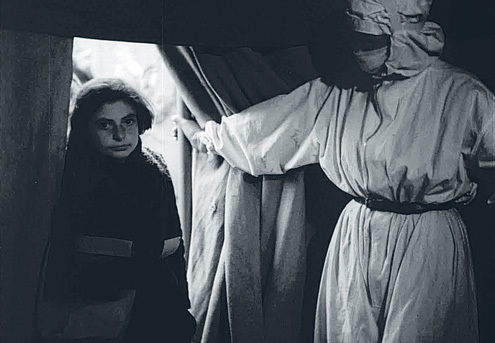 Despite their efforts to hide their Jewish identity Edith, her sister and her mother were deported to Ravensbrück concentration camp, towards the end of 1944. Their mother was sick and was at once placed in the camp infirmary. One day when the daughters came to visit she had just disappeared from her bed. They never saw her again. Most likely she had been killed. 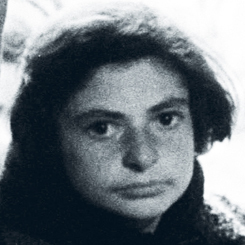 Edith and her sister Magdalein were on the list with prisoners that were supposed to be taken to the camp Bergen-Belsen, but they succeeded in persuading a guard to let them stay in Ravensbrück. Edith and Magdalein came to Malmö on April 28, 1945. Edith spent a long time in hospital due to her lung disease. When she recovered the sisters stayed in Landskrona for a while, before moving to Israel in 1946. Today Edith lives in Melbourne, Australia. If you can help us with further information about Edith Schimmel we will be very happy to hear from you. Please write an email to our researcher Sebastian. 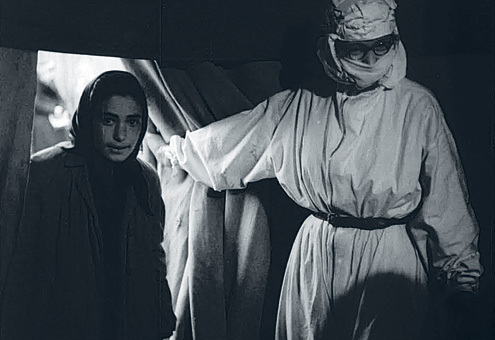 Edith Schimmel entering the medical tent in Malmö harbour on April 28, 1945. 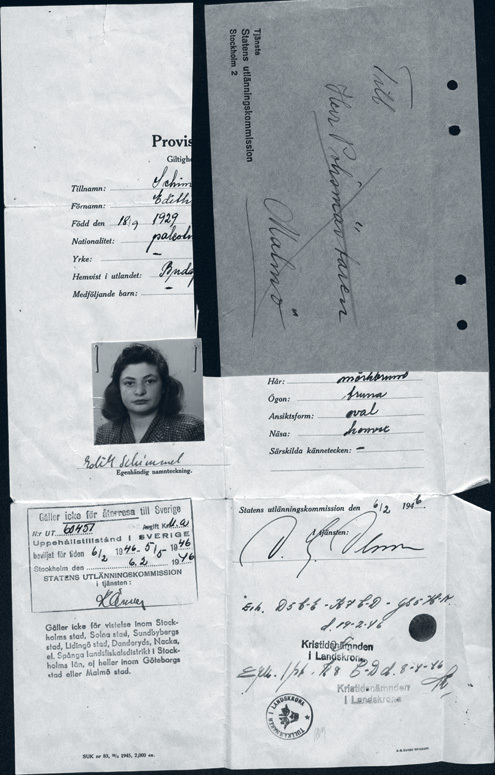 Passport document from the Swedish authorities made after Edith’s arrival. 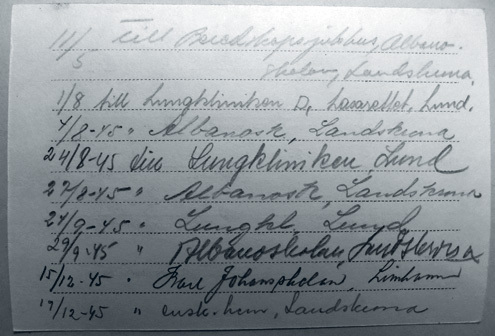 Back of Edith’s Red Cross registration card showing her many hospital visits due to a critical lung condition. Edith’s Red Cross registration card. She stayed in quarantine at Malmö museum.